This is a memoir for anyone who has ever fallen in love in Paris, or with Paris-and for anyone who has ever had their heart broken or their life upended. 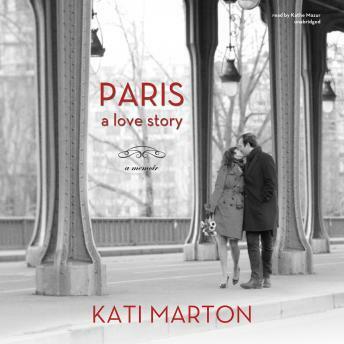 In this remarkably honest memoir, award-winning journalist and distinguished author Kati Marton presents an impassioned and romantic story of love, loss, and life after loss. Paris is at the heart of this deeply moving account. At every stage of her life, Paris offers Marton beauty and excitement, and now, after the sudden death of her husband, Richard Holbrooke, it offers a chance for a fresh beginning. With intimate and nuanced portraits of Peter Jennings, the man to whom she was married for fifteen years and with whom she had two children, and Richard, with whom she found enduring love, Marton paints a vivid account of an adventuresome life in the stream of history. Inspirational and deeply human, Paris: A Love Story will touch every generation.